We only collect personal information from visitors to our Web site when they voluntarily provide it to us by completing our registration form(s) in conjunction with our advertising packages, our events and deals presented on our Website. Registered User Accounts are required to provide a working email connected to their website account. We will use that email to contact provide information related to your interaction with our site and other uses by Gold Coast Connect, LLC. 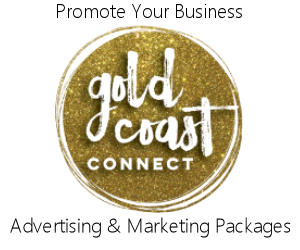 We may contact your by email about our offers, events, and activity related to Gold Coast Connect, LLC. You may opt out of emails that we send to you, other than those required to maintain your account on our website. Your Email address will never be shared will third parties or advertisers. We DO NOT share any non-public personal information contained within our site. We DO NOT gift, sell, rent or lend any personal information to any third parties in any way, shape, or form. Protecting the privacy of children is VERY important to us. For that reason we do not structure any part of our site to attract anyone under the age of 13 and we DO NOT allow anyone under the age of 13 to register and become a member of our site. HOW CAN YOU CONTACT THE WEB SITE OPERATOR?